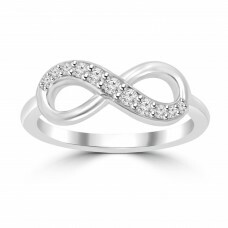 Buy her a ring that she will treasure forever. 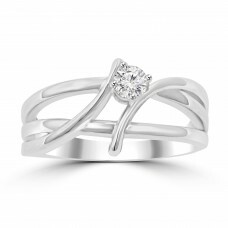 Shiny and dainty, our 14 kt white gold ring is simplicity at its best. 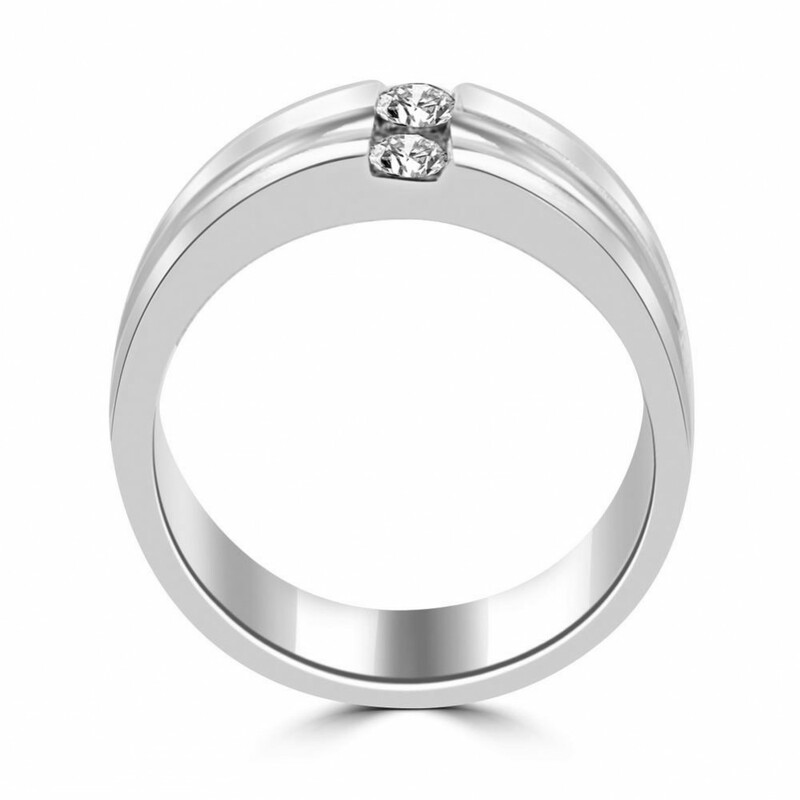 Our three stone anniversary ring is the perfect gift for the special lady in your life. 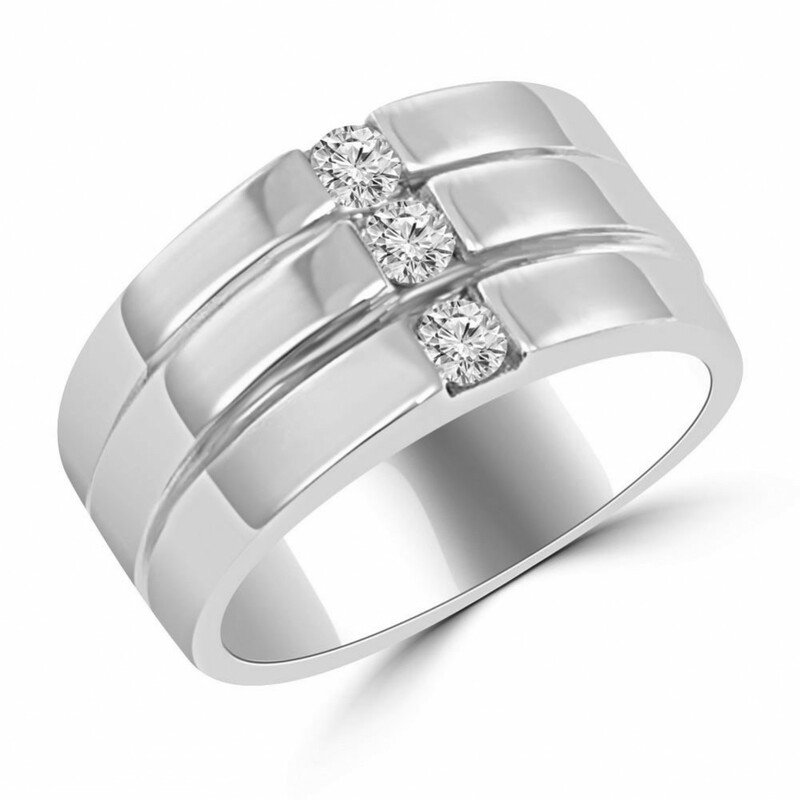 It will make a amazing anniversary ring or a fantastic choice for your favorite Valentine. 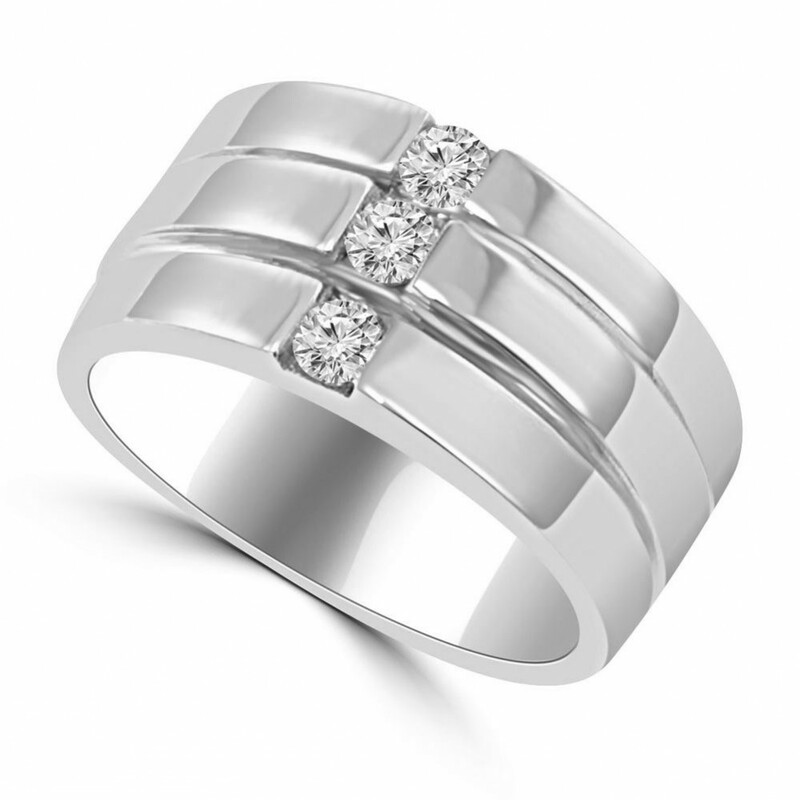 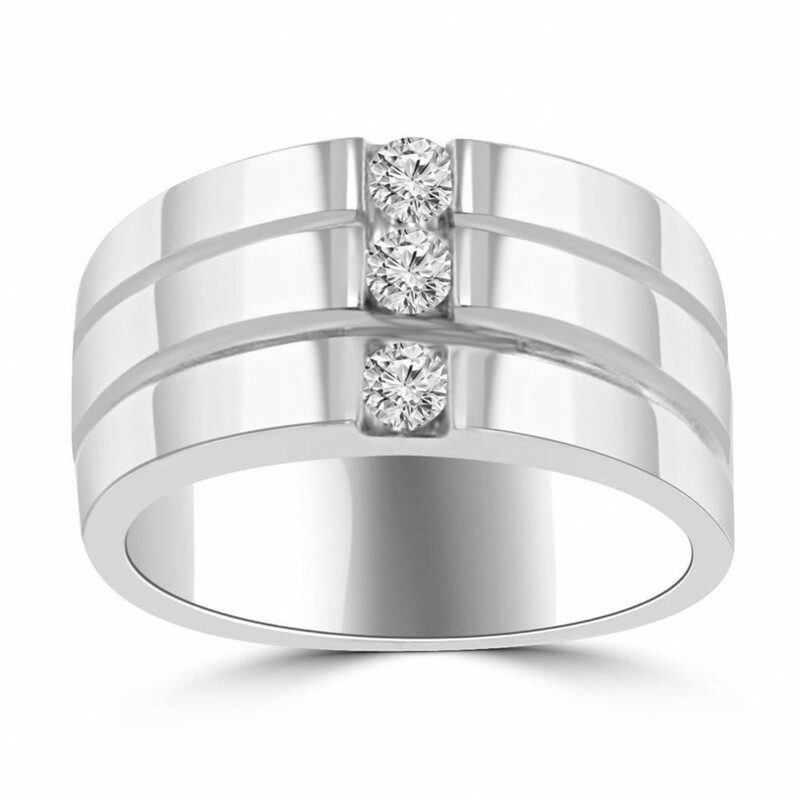 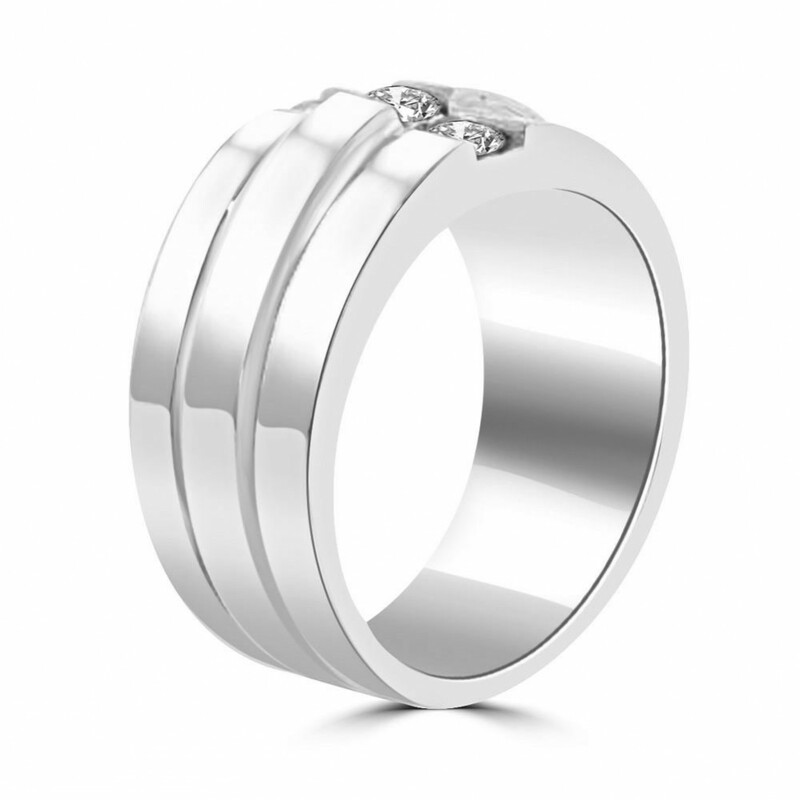 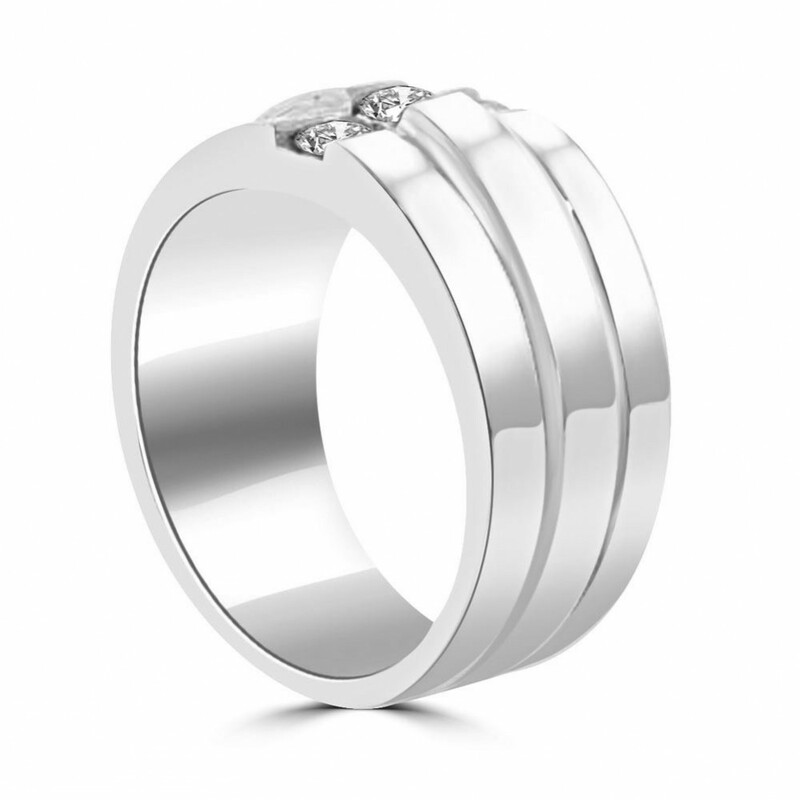 This anniversary ring are very comfortable to wear because the smooth part of the band rests in between your fingers, while the stones rest on top of your hand.